WASHINGTON — An established aerospace company seeks government permission to use retired ballistic motors for commercial satellite launches. It’s opposed by a startup who argues such vehicles constitute unfair competition. A description of the current debate about use of excess intercontinental ballistic missiles? Try 1990 instead. The present-day debate, where Orbital ATK seeks a policy change to allow it to use ICBM motors to provide lower cost commercial launches, mirrors one from the early 1990s that established the current policy that restricts those motors’ use. And, in the intervening quarter century, some of the key players have switched sides. In 1990, Lockheed proposed to purchase motors from Poseidon submarine-launched ballistic missiles being retired by the U.S. Navy and repurpose them to launch satellites. Lockheed saw them as a means to affordably launch small satellites, such as those for global satellite communications systems like Globalstar and Iridium that, at the time, were still in their early stages of development. While the Poseidon proposal didn’t get off the ground, the idea of recycling ICBMs as launch vehicles persisted through the early 1990s, particularly as the Cold War ended and the U.S. made plans to scrap hundreds of missiles. Even larger aerospace companies were concerned about using retired ICBMs as launch vehicles. “It would be a major impact on our market because it creates a situation of contractors competing against the government,” said Sam Mihara, staff director of the Delta 2 program at McDonnell Douglas, in the same article. The debate reached its climax in 1994, as companies made their final arguments during deliberations by the Clinton Administration on its national space transportation policy. “We’re very disturbed, and think it’s a bad idea,” said David W. Thompson, chairman of Orbital Sciences, of repurposing ICBMs as launch vehicles in an April 1994 New York Times article. In August 1994, the White House made its decision, and Orbital won. The new national space transportation policy limited use of excess ballistic missiles to government-sponsored missions, and required the government to prove the retired missiles were less expensive than commercial options. That policy was later included in the Commercial Space Act of 1998. 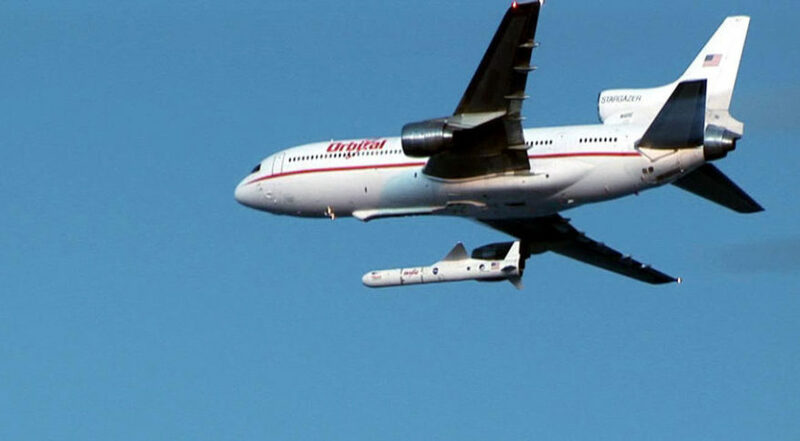 “Engineering tests and suborbital flight experiments are allowed, but orbital flights which may compete with private sector providers would have to satisfy some tough criteria,” John Gibbons, director of the White House Office of Science and Technology Policy, said of that policy in congressional testimony in September 1994. Today, Orbital ATK — created last year when Orbital Sciences Corp. merged with ATK — is on the opposite side of the debate, advocating a change in that policy to allow excess ICBM motors be used for commercial launches, which it argues will make the U.S. more competitive in the global market for small satellites. But it’s not the only player in the debate to change sides. When Lockheed first proposed to use Poseidon missiles for commercial launches in 1990, the director of the Commerce Department’s Office of Space Commerce took a nuanced view. “One is loath, in the current budget conditions, to throw away assets that are already paid for,” Richard DalBello told the New York Times. Today, DalBello is vice president of business development and government affairs at Virgin Galactic. That company is developing its own small launch vehicle, LauncherOne, which he fears could face competition from missile-derived vehicles. At an April 28 meeting of the Federal Aviation Administration’s Commercial Space Transportation Advisory Committee (COMSTAC), he led the debate in favor of a recommendation calling for no change in the current policy, even as some other members suggested deferring action on the issue to COMSTAC’s next meeting in October. “The timeliness is right now,” he said. “This will be done by October.” The committee later voted to approve the recommendation. Congress has yet to take action on any changes, although the House Armed Services Committee included a section in its version of the National Defense Authorization Act last month that would calls for studies on the issue by the Defense Department and Government Accountability Office. That action, too, mirrors past debates on the topic. In 1990, Sens. John Warner (R-Va.) and John McCain (R-Ariz.), members of the Senate Armed Services Committee, sought to include language in a defense authorization bill for a similar report on the effect using retired missiles as launch vehicles.